The concept of consent is an important thing for every individual to remember and apply to their life. The absence of consent or permission in any situation would indicate that one has been forced to do something. The elements of informed consent gives one the idea of the detailed nature of consent. The practice of consent is adapted into simple situations and to much more formal circumstances. An example of consent being used in a formal situation is in the field or research. 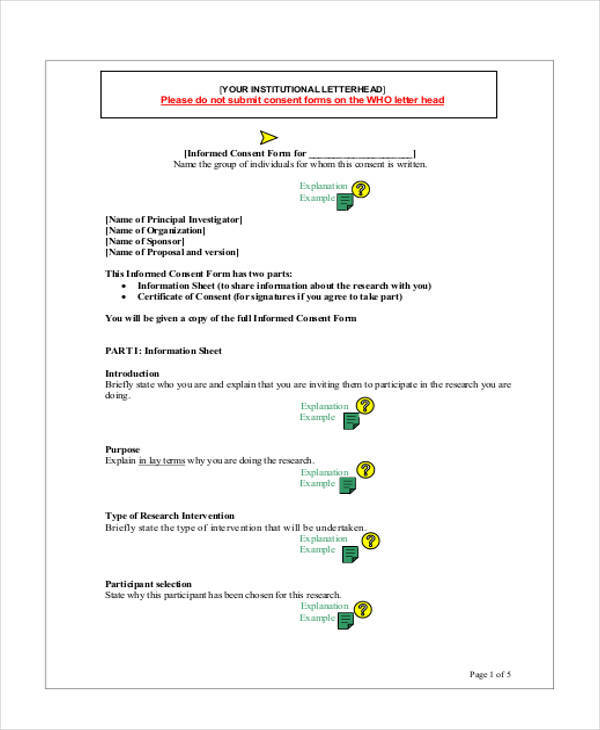 Researchers utilizes the beneficial uses of consent form in order to have an ethical approach with the research study. 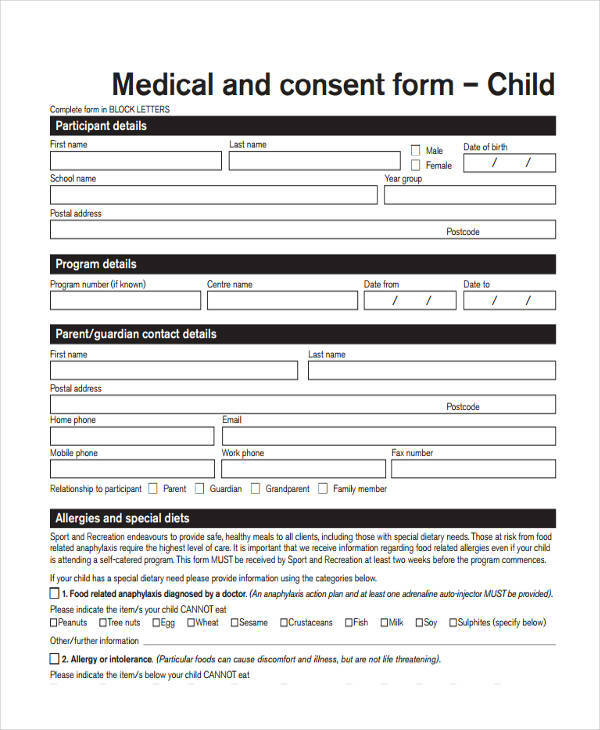 What Is The Purpose of a Medical Consent Form? Consent forms of any kind are important to incorporate within any process or practice. For example, when Business Consent Forms are used by a company, they will be able to get willing business partners or customers, as well as have appropriate business practices. 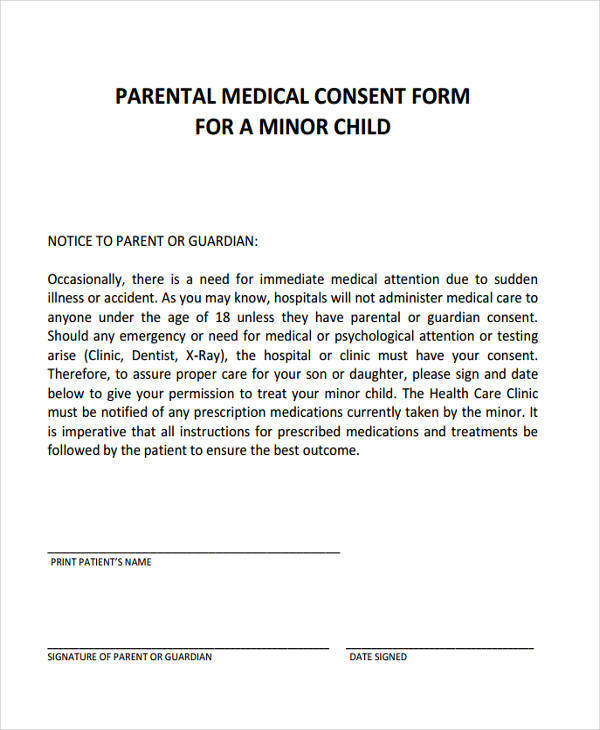 In medical institutions, medical consent forms are handed out to the patients. 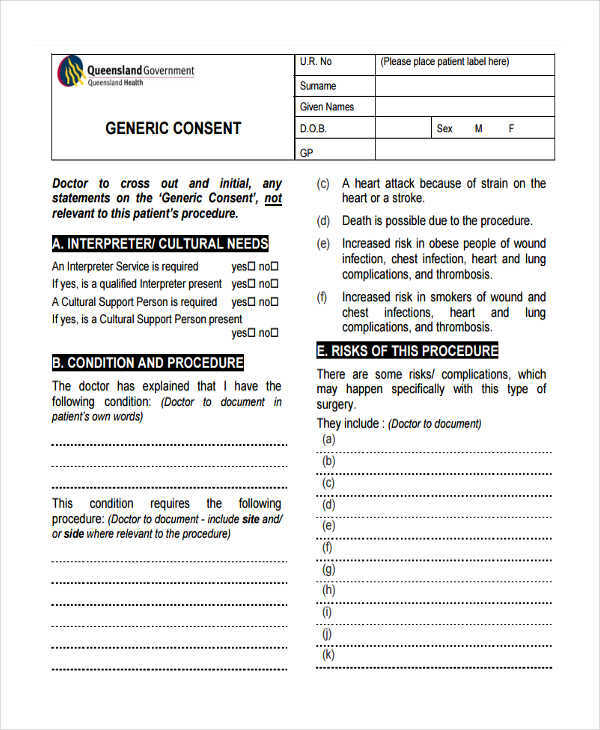 The purpose of distributing this type of consent form gives the patient a choice of whether or not he or she is willing to undergo the medical procedure described in the consent form. Doctors are not allowed to force patients into medical treatment or procedures even if it is recommended for his or her condition. 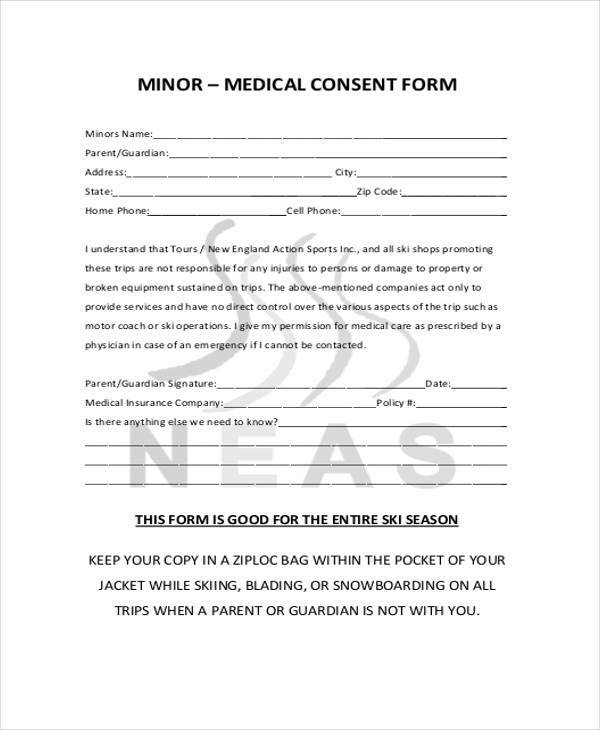 Consent forms such as Travel Consent Forms should be able to fulfill its purpose. 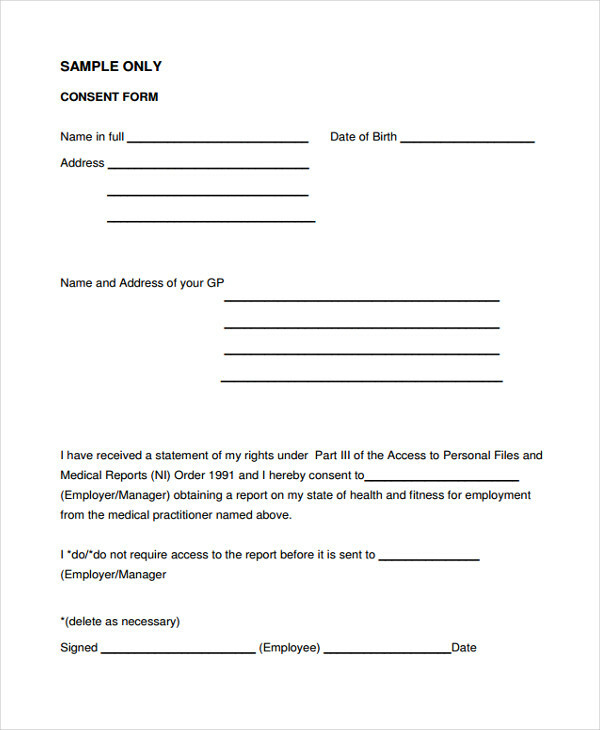 A medical consent form should be created and developed with the proper format and with the appropriate content. 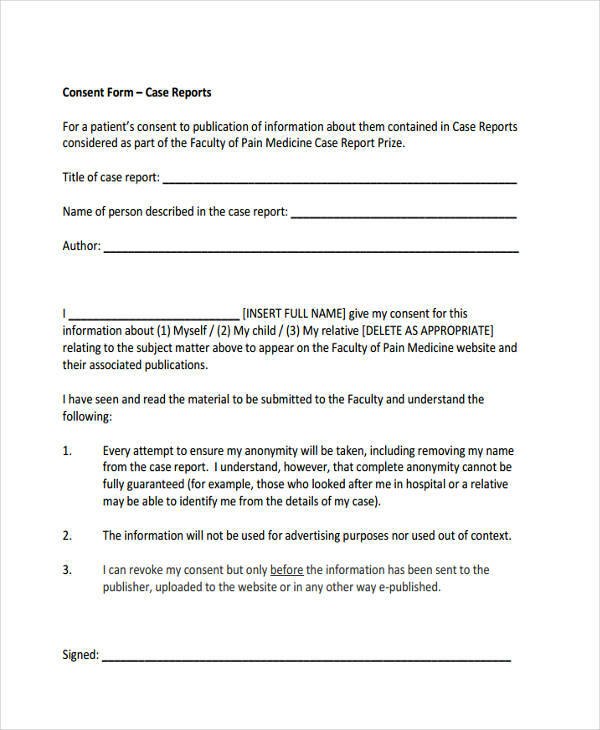 Any information that has been not included in the medical consent form can result in legal and ethical conflict with the patient, the medical staff involved, and the medical institution where it took place. A proper medical consent form includes the purpose of conducting the medical procedure or medical treatment and its possible benefits to the patient’s condition. 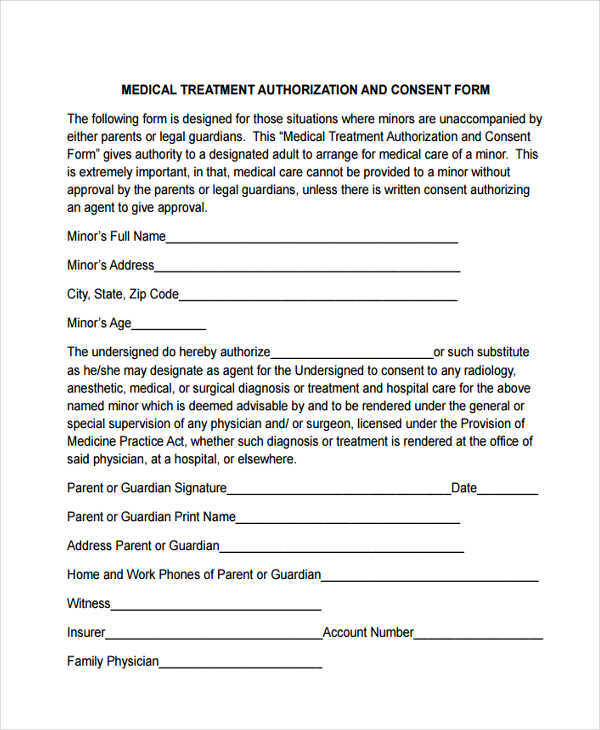 The consent form should also discuss the possible risks the patient might encounter if he or she does agree to push through with the medical procedure or treatment. The history of medicine encompasses beneficial discoveries and periods of enlightening experimentation. There are some cases where medical negligence has occurred and the patient’s life was put on the line or was the price to pay for the medical professional’s negligence. Medical administrations have created solutions to resolve the problem as well as establish guidelines in incorporating ethical practices into the field. 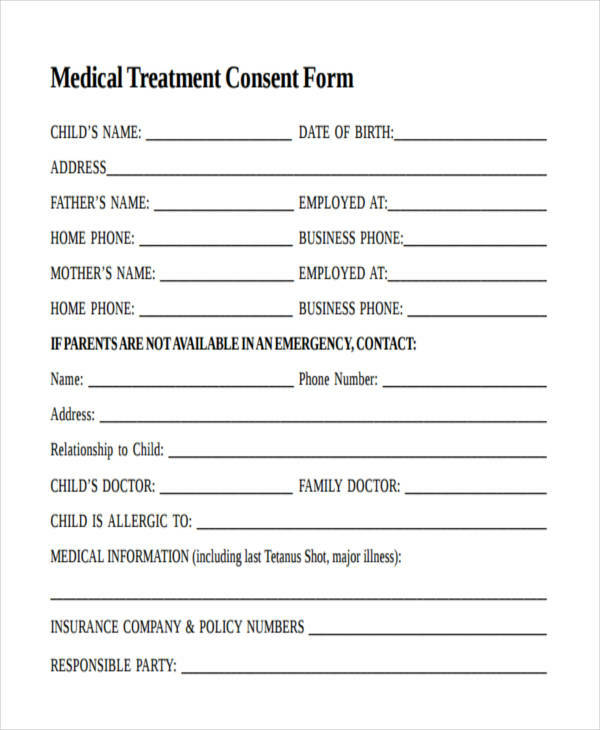 One of the ethical practices incorporated into the medical field is the use of medical consent forms. It is the goal of any professional practicing any of the branches in the medical field to give their patients the best care. The patient’s well-being is an important priority especially during their stay in the hospital. The patient’s decision is always put into the consideration by their attending medical staff. The patient’s decision ranges from simple preferences to his or her permission with undergoing extensive medical procedures or medical treatment. 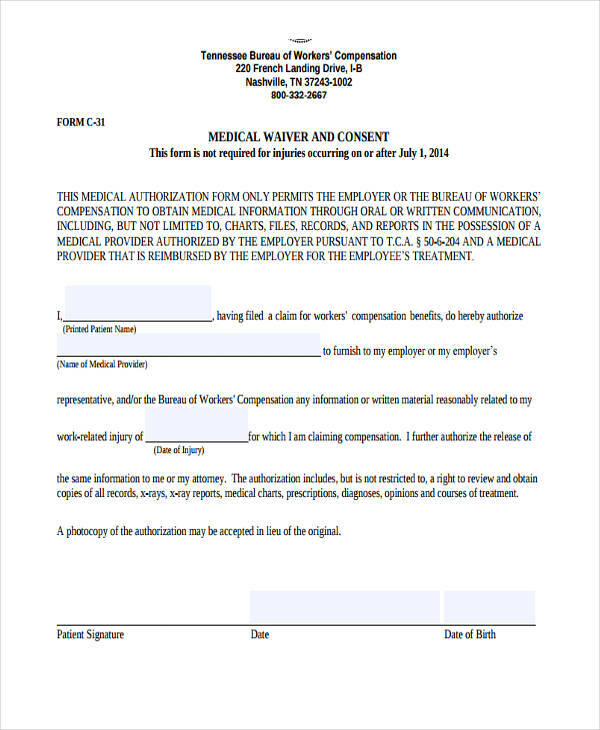 The delegated medical personnel can create a medical consent form from scratch, from a medical consent form pdf file found online, or ask the administration department if they have available copies in the hospital. 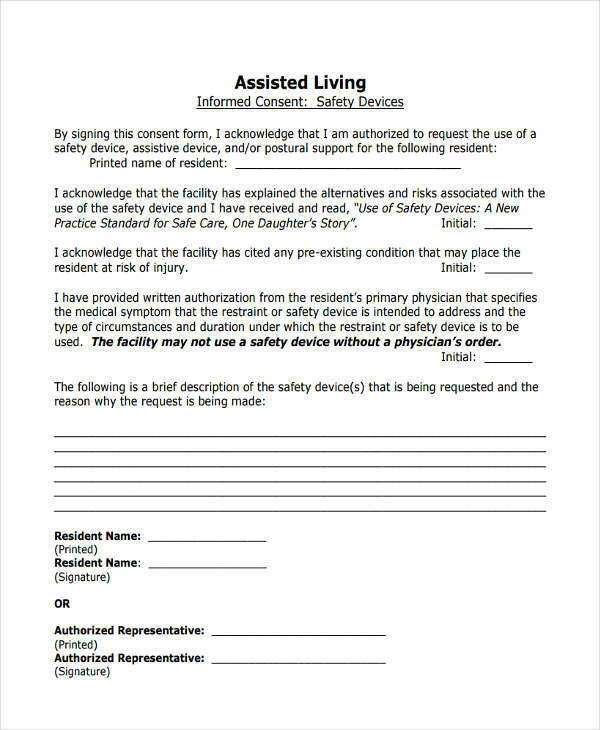 This important document assures the involved medical staff that consent has been given and that the patient puts his or her trust in the appointed medical staff. The medical consent form is considered to be a representation of the ethical and legal conditions that relates to the patient’s rights. 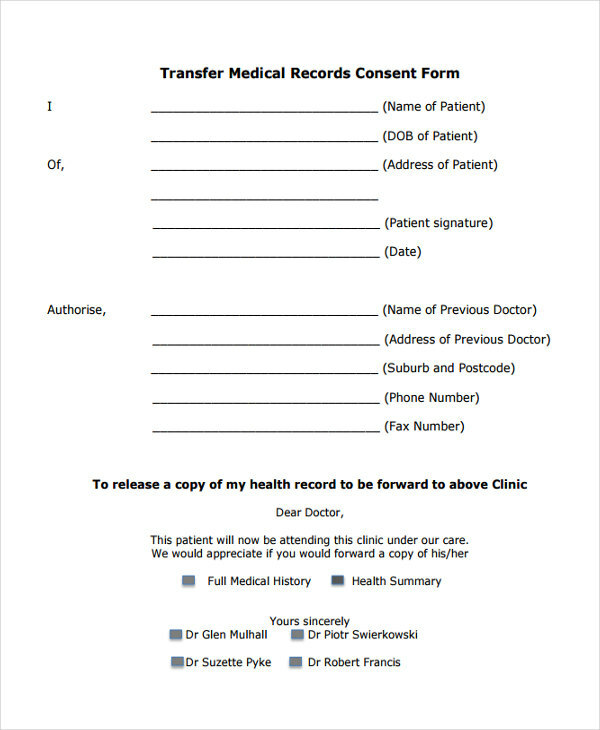 When a patient is given a medical consent form from this or her attending doctor, it indicates that the patient’s autonomy and self-determination is respected. A doctor who does not do this ethical practice will be seen as unlawful by others and can incur criminal charges by the patient. In turn, medical consent forms have proven to be beneficial since its inception and incorporation into the medical field. What Should be Included in a Medical Consent Form? 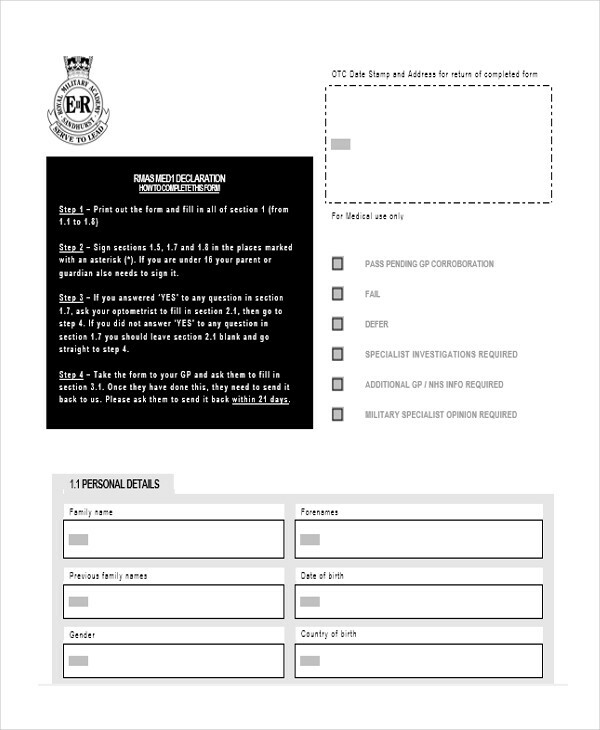 The content of a consent form should be in line with the type of consent form being used. In the instance that a dentist formulates a consent form from Dental Consent Form Samples, the items should ask the dental patient about their dental health history, what conditions they might have, and their family’s dental health history. 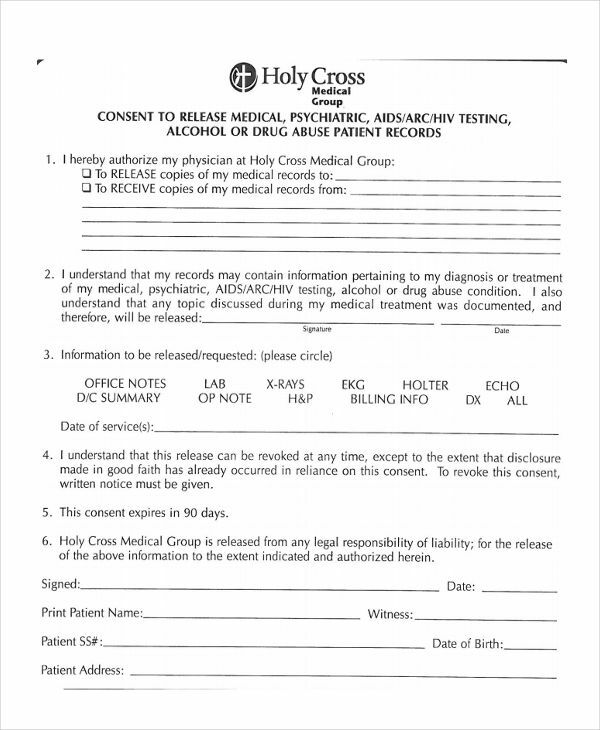 With a medical consent form, the items are more focused towards the patient’s medical history. The items ask about the the patient’s name, personal details, description of the medical condition, the proposed treatment and its alternatives, the associated risks, and benefits of the proposed treatment. How Long Is a Medical Consent Form Valid For? 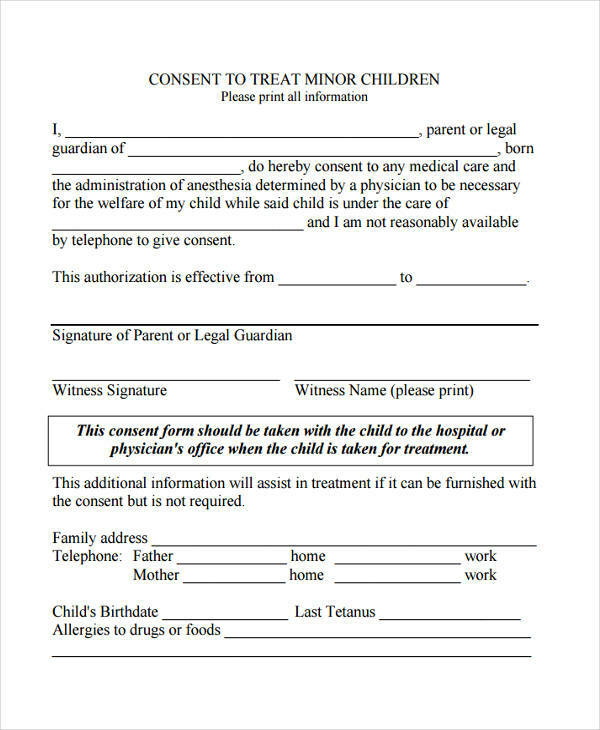 Consent forms such as Parental Consent Forms are not only ethical, but also legal in nature. Legal documents generally present the terms and conditions that relate to present situation and circumstances. The terms and conditions found in any legal documents has a timeline indicated in the form that talks about the duration of its validity. 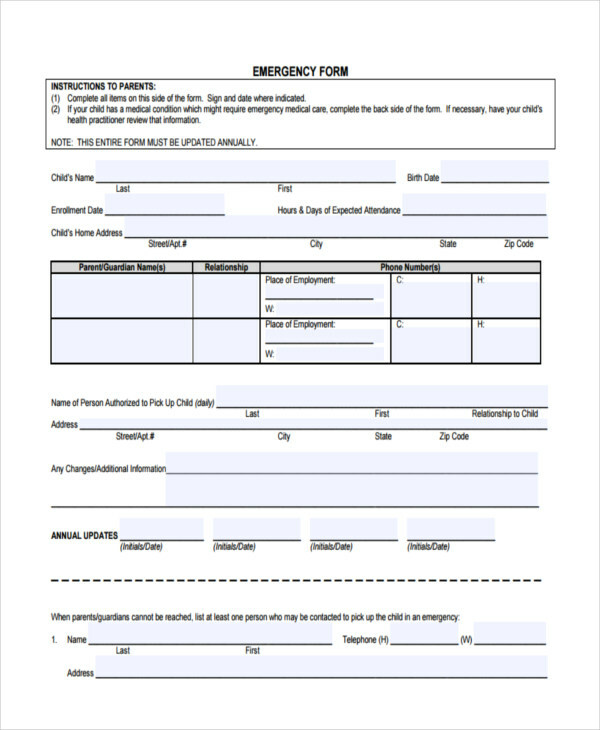 With a medical consent form, a duration for its validity is indicated by writing down the date of expiry in the form. Even if the patient has given his or her consent, it will be considered invalid if it passes the date of expiry. The date of expiry could be in one year from the date of the given consent, when a minor reaches the age of majority, or when the health plan enrollment has been revoked. Guidelines are created in order to establish guidance for individuals to have in order to find the right path or know what is the right thing to do. 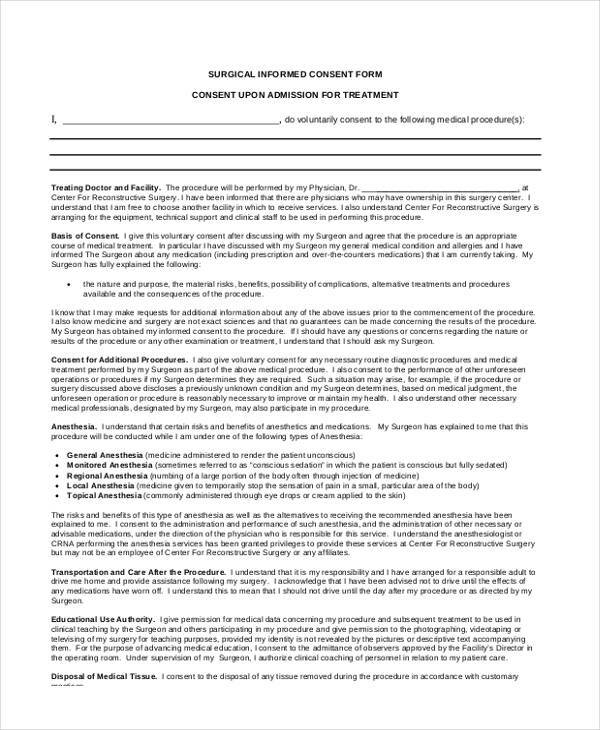 When a medical consent form is to be issued to the patient, the designated medical staff should be able to follow the guidelines that were established for this ethical practice. Before the patient decides to sign the medical consent form. 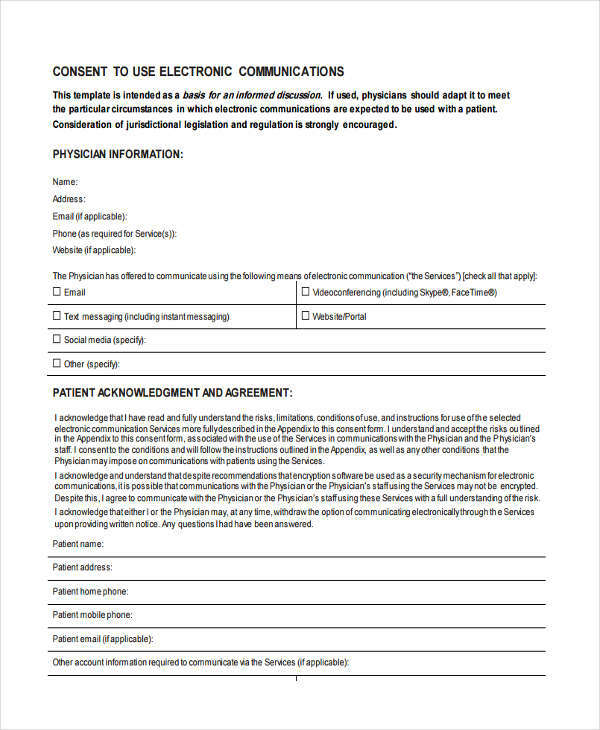 The doctor should debrief the patient on the contents of the medical consent form, and make sure that the patient fully understands the conditions the medical consent form presents. This is done for the patient’s good and to ensure that the patient does not just carelessly give his or her consent to the appointed medical staff. The risks and benefits is one part of the consent form to be explained well. Since the success of a medical procedure can vary depending on the circumstances and other various factors. Guidelines should be especially followed particularly when the patient is of minor age. 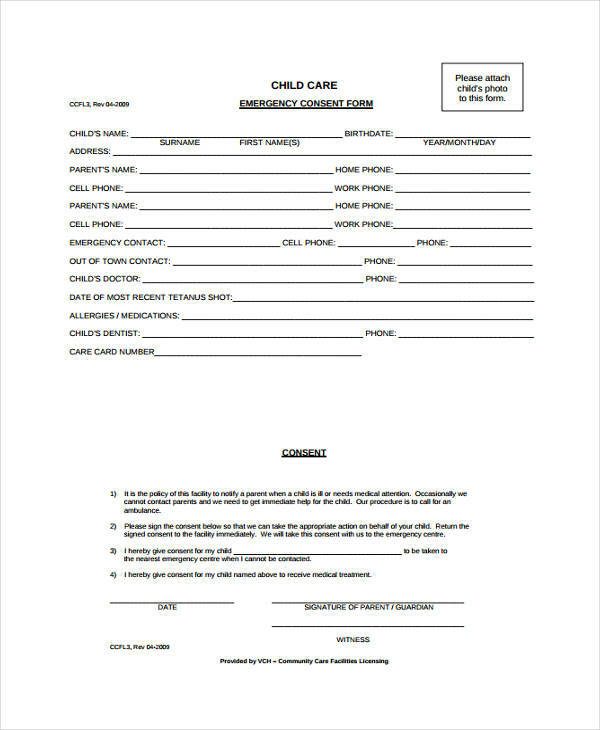 Child Medical Consent Forms are given instead in this circumstance. 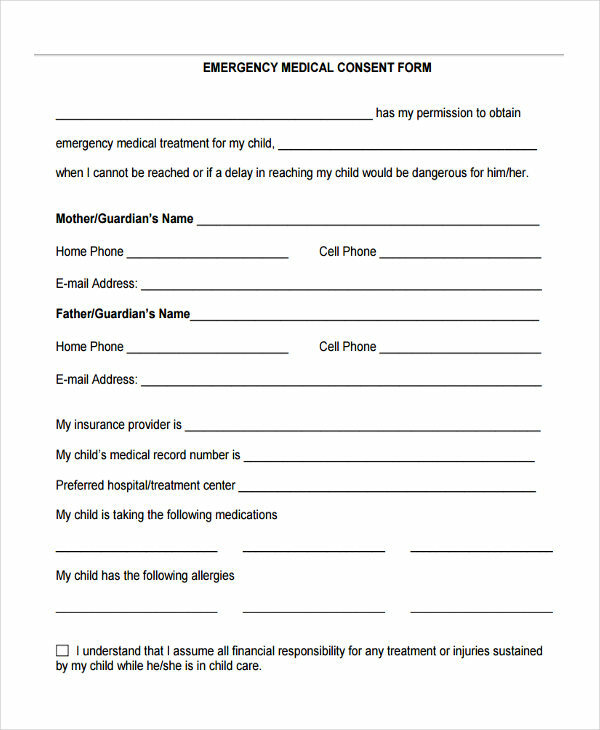 In the instance that situation happens, it is important that the patient’s parents or legal guardians are present in order to sign the medical consent form in the place of the patient. 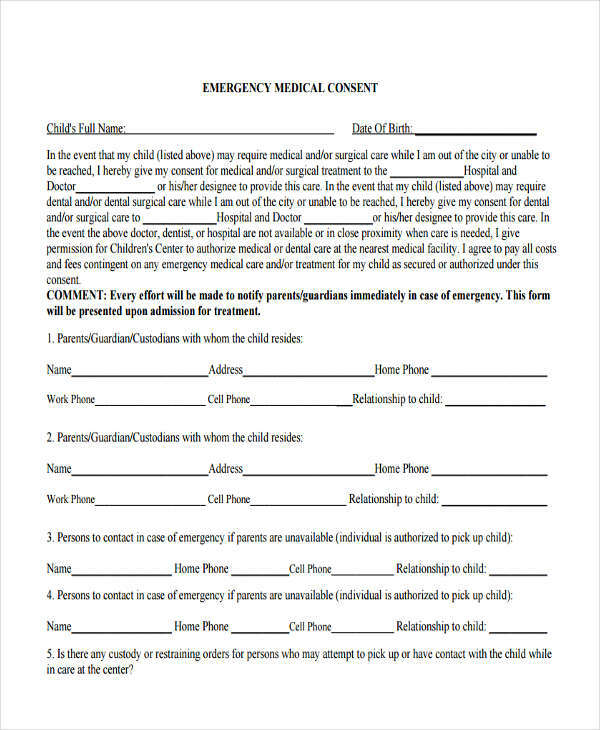 The parents and legal guardians also debriefed by the doctor since there approval is needed in the consent form.